Being one of the leading manufacturers and suppliers of this quality Water Meters for Chemical Industry, we never compromise with its quality. Thus the product we offer is known for its impeccable performance in monitoring large scale water systems. Manufactured in compliance with the industrial norms and guidelines, using high grade raw materials, the quality of this product is always maintained. 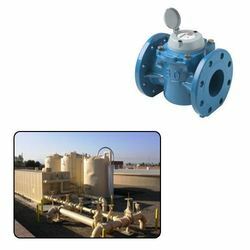 Looking for Water Meters for Chemical Industry ?